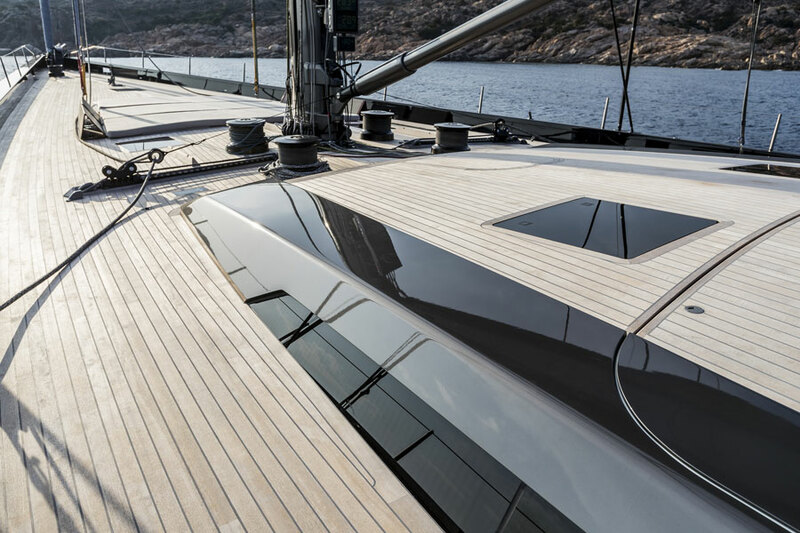 Baltic Yachts combines with Reichel/Pugh, Nauta Design and MCM project management to produce one of the most remarkable all carbon superyachts ever launched. My Song benefits from a plethora of new ideas taking the cruiser/racer genre to a new level. She oozes innovation. 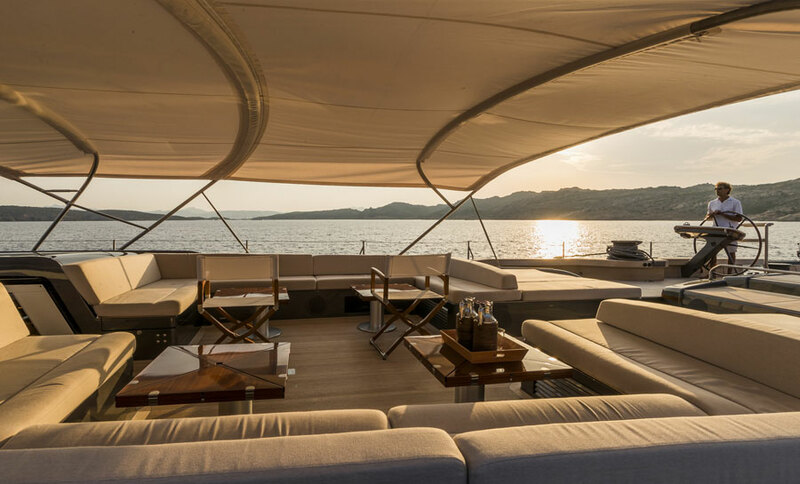 With naval architecture and engineering by San Diego-based Reichel/Pugh, stunning design by Nauta Design and project management by Nigel Ingram of MCM, My Song was launched on time and completed sailing trials successfully in Finland before heading for the Mediterranean. Based on a stiff, lightweight carbon/Corecell composite hull with Nomex cored bulkheads throughout, Baltic 130 My Song was built in a split hull mould enabling more accurate construction, easier access and, in turn, a faster build-time. Her plumb stem and wide after sections have evolved from grand prix maxi racer shapes to provide a fast, stable, comfortable ride whether racing or cruising. 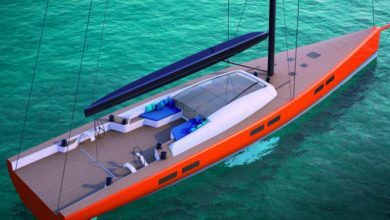 Her average cruising speed of 16.5 knots and almost 30 knots when planing in full competitive mode are velocity prediction figures indicating she will be one of the fastest yachts of her type in the world. Reaching these goals took 18 months of multiple hull performance study by Reichel/Pugh using computational fluid dynamics and advanced velocity prediction programs. 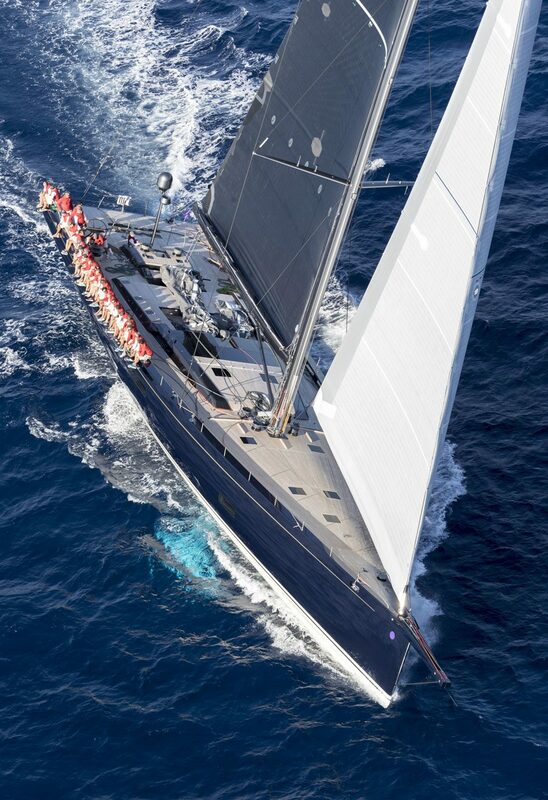 They worked closely with North Sails to perfect the match between hull shape, appendages and sail design. 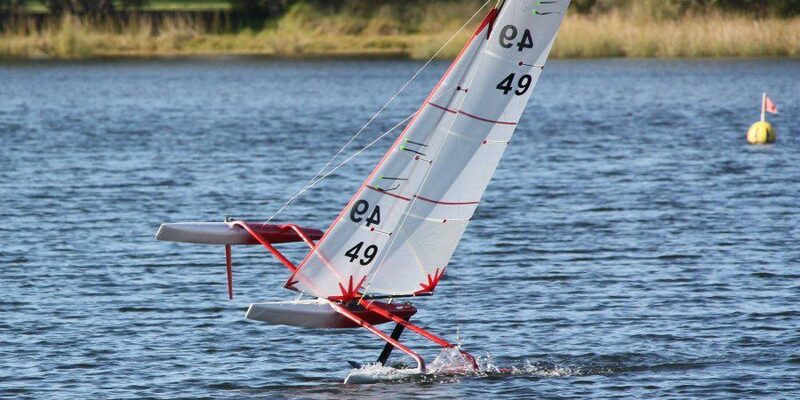 Among a number of innovative features, Baltic 130 My Song’s Southern Spars all carbon rig can set a pin head main for cruising or a square-top offering more sail area for racing. 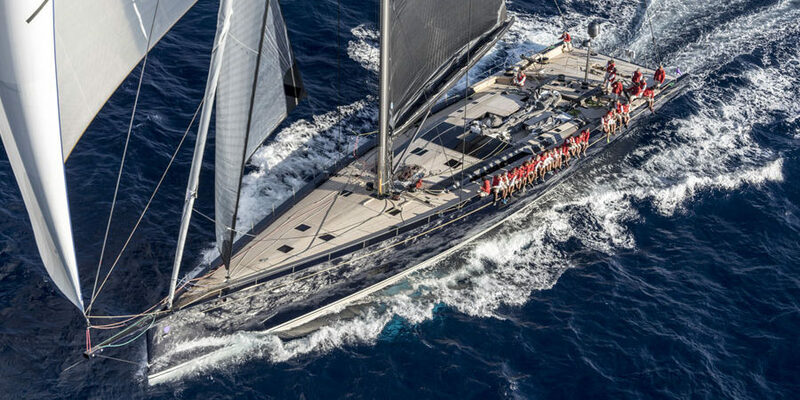 The latter requires running backstays, but when the conventional sail is set an easy-to-manage single fixed backstay can be rigged on a removable carbon fibre crane at the masthead. It takes just three hours to effect the change-out. 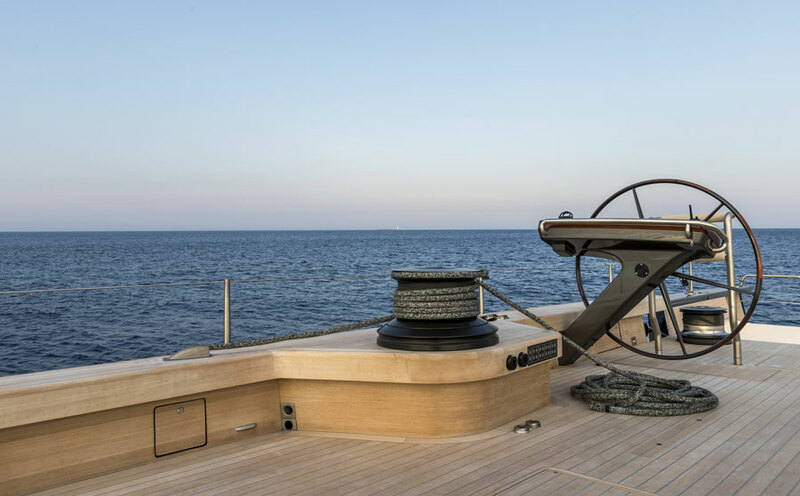 Faster and safer deployment of the yacht’s large asymmetric sail is made possible by an under-deck carbon fibre storage drum controlled by crew with a hand held remote. 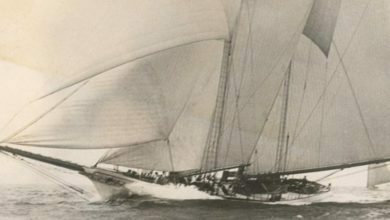 All sails are by North. 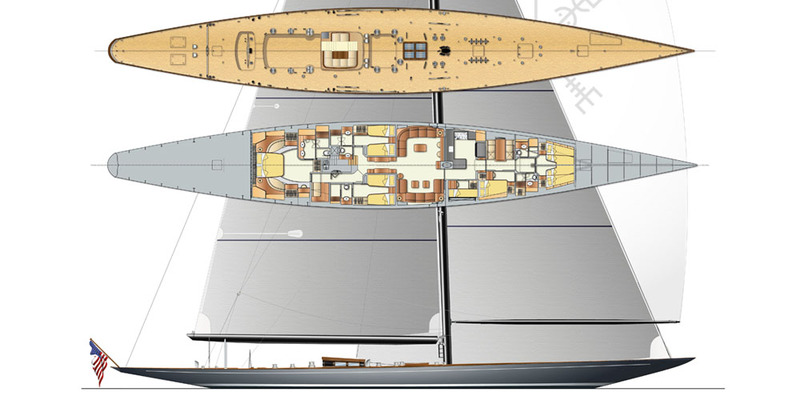 Under the water, My Song is fitted with Baltic Yachts’ latest Retractable Propulsion System (RPS) which not only leaves the hull entirely flush when the propeller is withdrawn into the hull, but also acts as a stern thruster as the highly efficient forward-facing, pull propeller unit can be turned through 90 degrees, port or starboard. The yacht can be driven off a dock literally sideways.